One of my New Year’s resolutions is to relax a bit more, stress a bit less, and work on getting a good night’s sleep. Not easy to do, but an ancient technique married with modern technology may be a solution. The only thing more essential to many of us than our iPhone is our breath. Using apps that instruct on relaxed and mindful breathing, I’ve learned how to de-stress, helping keep my resolution (so far). I’m not a guru or an expert, and I found the selection of these kinds of apps in the iOS App Store a bit overwhelming. But here are the ones that I’ve tried and can recommend. These apps are great for a short, mindful breathing break during the day — think coffee break without the coffee. I like these for a quick “centering” after a difficult phone conversation while at my desk. Just like the name says, this free app includes basic videos (internet connection required) on how to do deep, diaphragmatic breathing. A simple adjustable timer tells you when to inhale and exhale along with a background picture to select. This app is a great place to start if you’re new to this process. Go beyond the basics and analyze your breathing patterns via your iPhone’s microphone with this app. The visual guide on the screen shows you when to breathe in and breathe out to slow down your breathing. Alternatively, you can enable or disable a voice guide so you can focus on closing your eyes while breathing. Once you get the hang of focusing on your breath, you can turn off the voice prompts and use a variety of traditional signalling sounds for inhalation and exhalation. You can adjust the session length between five and 30 minutes. 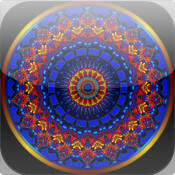 I like this app because they also make a free desktop version so I can practice both on my iPhone and at my desktop. When you need a bit more coaching than basic breathing to relax, the calming voices of Breathe and Relax takes you through a series of short 30-second breathing and awareness breaks as well as a longer 12-minute breathing exercise. This app is a great pick-me-up throughout the day to keep me focused. The app can set reminders to cue you to keep mindful throughout the day (Are you breathing? Are you holding your breath? Take a deep breath, and so on) I didn’t use this app daily, but I keep it like a trusted friend on those days I know will likely be stressful. It lacks the visuals of the other apps, but the calming voices of either a male or female narrator were quite helpful. Once you’ve got down the basics down, you can use this app to learn some of the more advanced techniques such as Anuloma Viloma (alternate nostril breaths). The app uses visual (no network connection required), auditory and written instructions on how to learn these techniques. The app also includes 10-minute routines for using these breathing techniques in specific situations such as stress relief, anger management and sleep aid. Reminders to do these routines can be added to your calendar directly from the app. iPranayama takes the techniques you learn in Yogic Breath or through other methods and and gives audio and visual cues so you can practice your routines at the novice, beginner, student, yogi and guru levels. Each breathing routine can be adjusted for skill level and length. Unlike previous apps, iPranayma only includs the very basic coaching. You need previous experience to use this app. These routines were great to practice once I got the hang of the different techniques such as the short powerful breathes of the Kapalabhati or the previously mentioned Anuloma Viloma. If working on a better night’s sleep is your primary goal, SleepLatern combines a visual signal that you can project on the ceiling with your iPhone or iPad to signal you when to breathe in and breathe out. The settings allow you to change the color of the projection as well as the audio cues (voice, bell, gong or no sound). 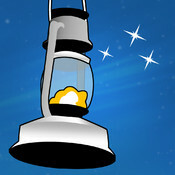 This app is a direct competitor to Sleep Lantern. While it doesn’t allow you to change the color of the visual signal, it includes a larger selection of auditory cues (voice, waves, rain, crickets, Indian Bansuri and no sound). This app also allows the audio to continue as background noise after the visual cues. I went back and forth between the two. 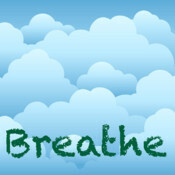 Similar to Breathe, this app takes the user through a variety of short breathing exercises and relaxation techniques specifically focused on getting to sleep (or getting back to sleep) and includes gentle coaching and affirmations to help your mind stop racing and give it something to focus on: your breath and your physical body. 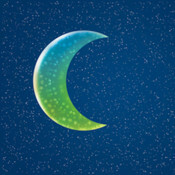 After the exercises you can choose background audio, such as calming music and nature sounds, to help you get to sleep. Whichever apps you use, be sure to put your phone in Airplane mode or Do Not Disturb, if possible, to avoid distractions. A incoming phone call or iMessage is a sure way to break your focus! Next time your phone buzzes and you get all tense, remember that your phone isn’t just a source of stressful information, but can be a powerful tool to help you relax. 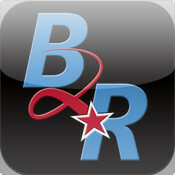 Take a deep breath and check out some of these apps to help you destress in 2013. Yup these are the real apps which will help us in chilling all the day and night. My best app is best break.